Who knew this is the world's most versatile pen? A super cheap Ikea chair + Sharpie = an awesome leopard-print seat. Made by this clever blogger. An inexpensive (but time-consuming) way to add pattern to your walls. Read more about it here. 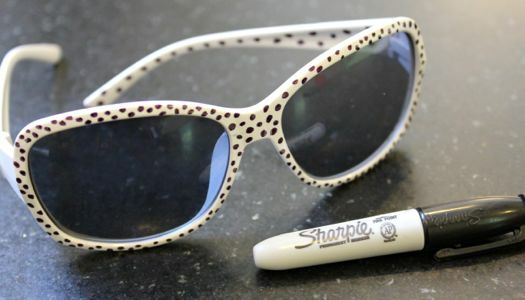 Prettify dollar store sunglasses with some spots, like this resourceful crafter. Use old book pages, handmade stencils, and Sharpie to make your own holiday gift tags. Check out a full tutorial here. Doodle cute motifs on plane white napkins, as done by The Salty Pineapple. Polka dots, words, black and white, color — the possibilities are endless. Counter clockwise from the upper left Behind Every Great Man, Mustache, Blue and Red Pattern, Polka Dots, Geometric, and Yellow and Pink Triangles. 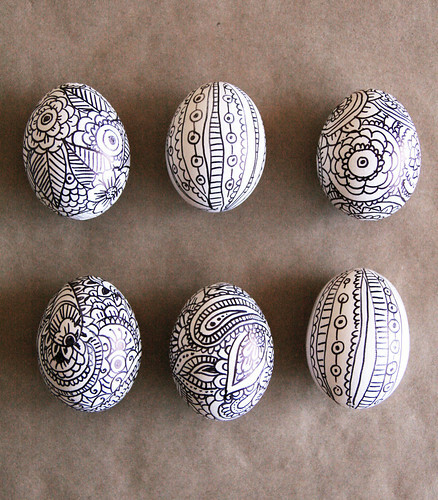 Doodle on eggs for Easter — or any time of year. From the blog of Alisa Burke. 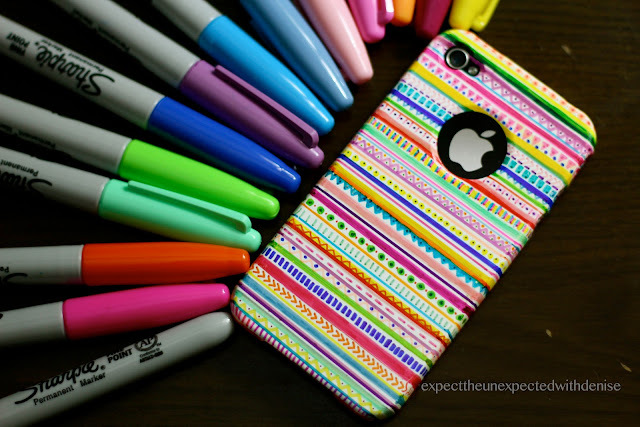 Use neon colors to create a bright geometric accessory. Check out the directions by Dismount Creative. 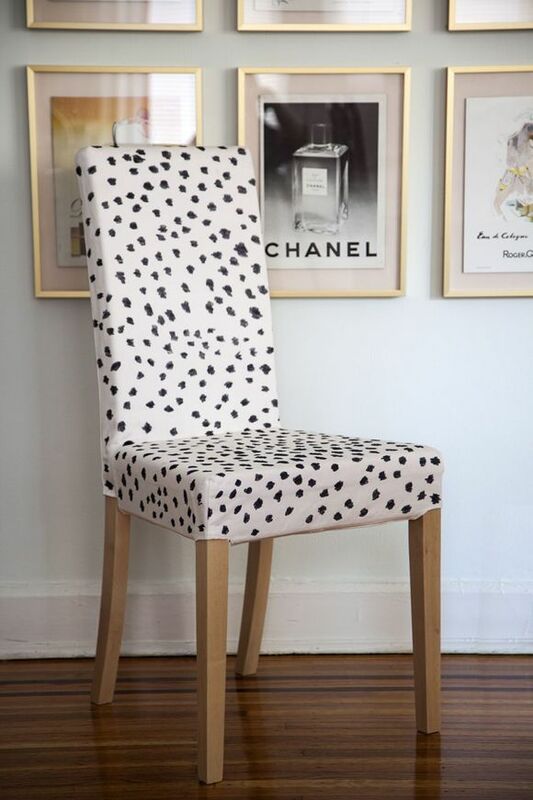 Decorate a piece of white fabric in a leopard print design, then use it to cover up an old ottoman. From Little Pink Monster. You'll need a spinart machine (apparently these exist) to make this awesome circular artwork. Watch a video tutorial here. 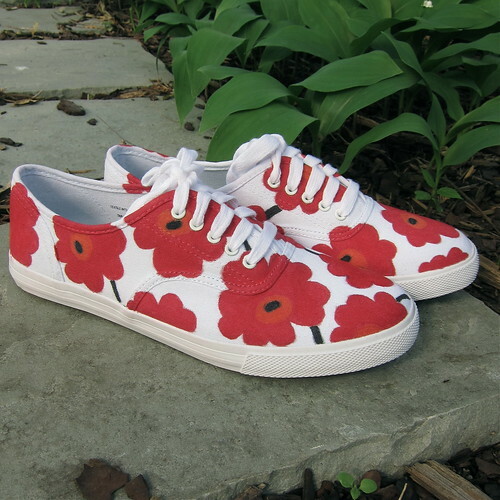 Turn plain white sneakers into floral, Marikmekko-inspired kicks. Read about the pair shown here. Draw, doodle, or write on a plate, then bake it at 150 degrees for 30 minutes to make it permanent! Clockwise from the upper left corner: Floral Pattern, Monsters, Cats, and Cooking Quote. Write your favorite quote or poem around the outside of a white flower pot, like The Craft Pond did. Use rubbing alcohol to create a watercolor-like effect. Check out the tutorial Radical Possibilities. 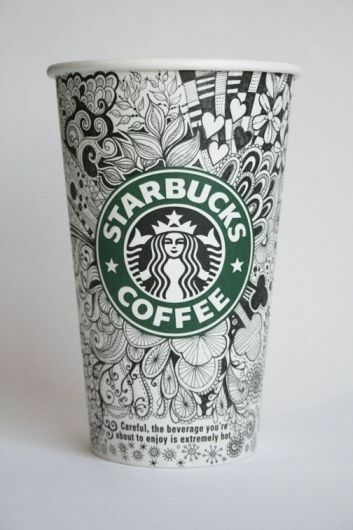 A great packaging idea! Decorate twist ties with spots and stripes, as pinned here. 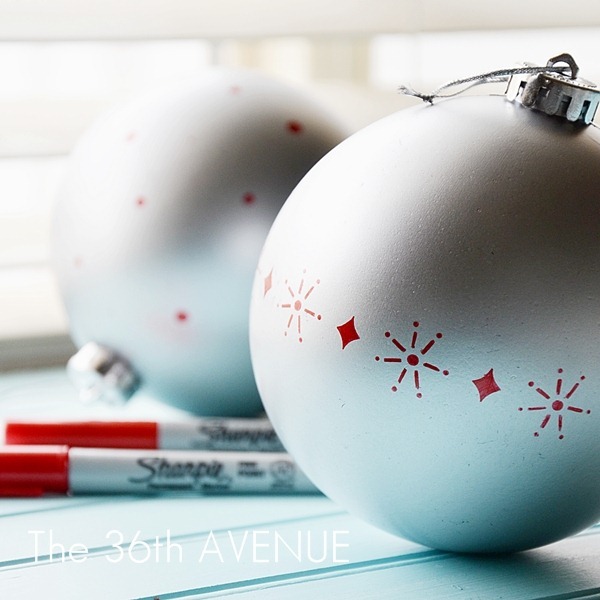 Use stencils and Sharpies to prettify old ornaments. Check out the tutorial here. Rubbing alcohol can create a tie-dye effect. Find the how-to here. 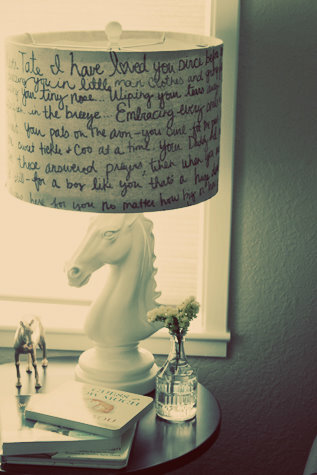 Scribble your favorite quotes, song, or poem on an old lampshade. Check all the details here. These would be cute stocking stuffers with names and occasions written on them. Made by this artsy blogger. Tell someone how you really feel. As seen on this blog. 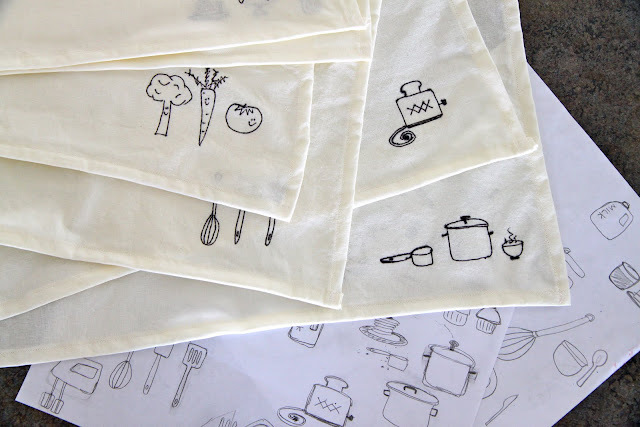 Doodle all over plastic bags to mix fun and functional. 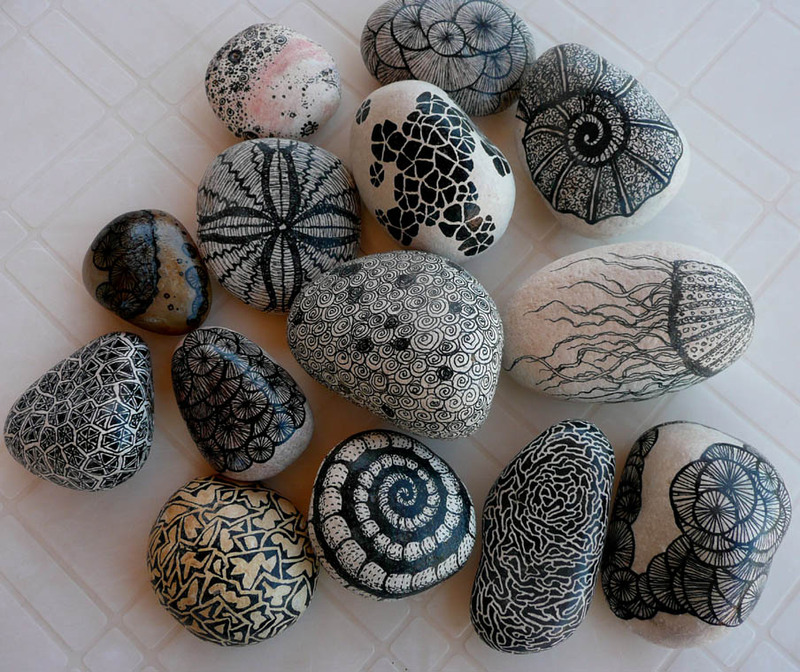 These were found on Bablisme. A way to pass the time during a boring work meeting or class. Found on Tumblr. Paint wine bottles white, then decorate with geometric patterns like this crafter. 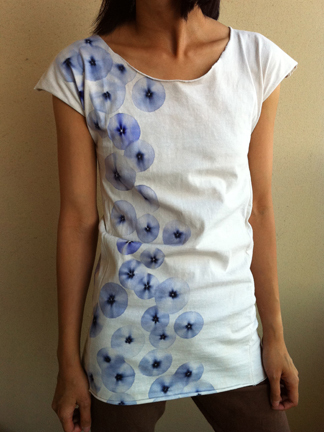 Make them Vivienne Westwood Inspired, as shown here. Or polka dots with white nail polish and silver Sharpie, like this pinner. 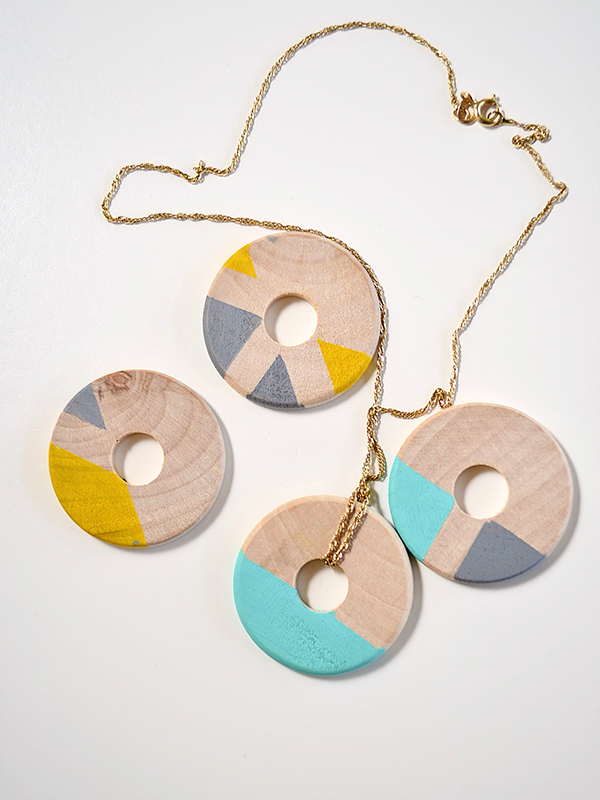 Color wooden washers to make a quick and easy necklace, as done by See That There. Or color round wooden beads, like this blogger. Color page reinforcers and use them to line envelopes for pretty invitations or any other snail mail. Check out the tutorial here. 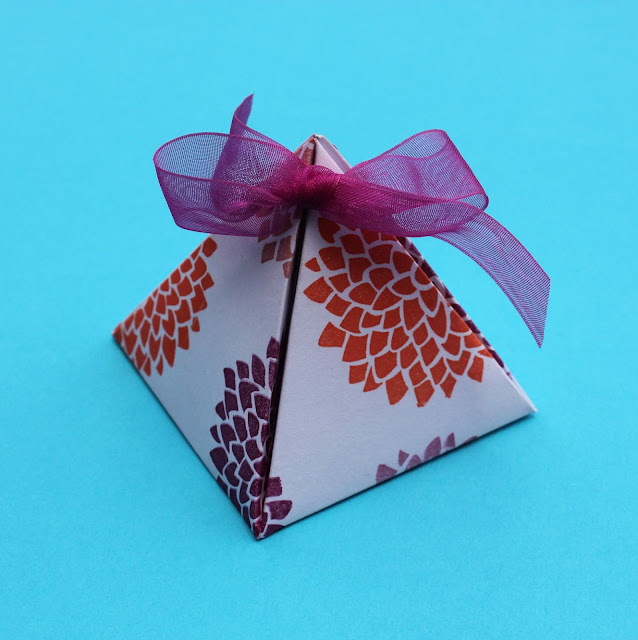 Decorate little gift boxes for tiny gifts — find the instructions and template here. 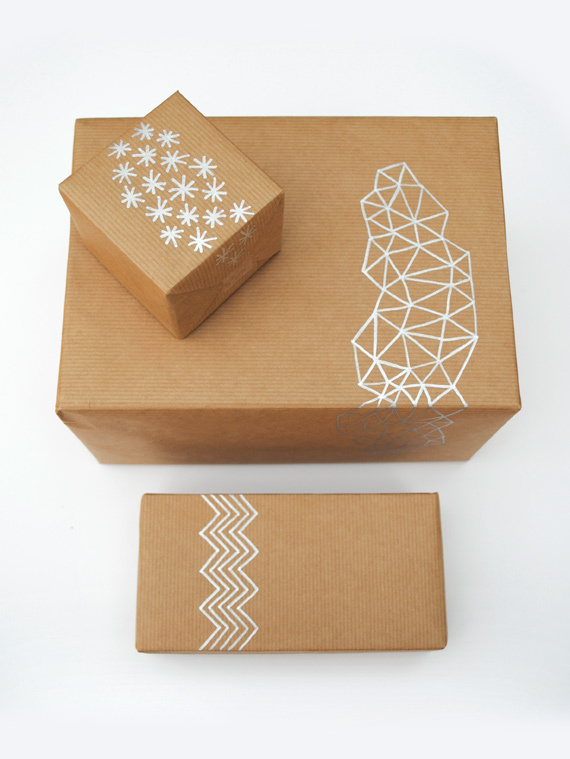 Draw a crosshatch pattern inside stencils for fun and elegant stationary. Check out the tutorial here. A little nerve-wracking, but a cool way to personalize your instrument. Found on this flickr stream. Personalize your pooch's dishware, like Literary Lama. Add a pop of color to your walls — and make it easier to find that light switch. Pinned here. A great way to decorate plain brown paper gift wrapping. Read some tips on how to do it here. You'll need the full rainbow of Sharpies, but this would make for a great gift! Find detailed directions here.